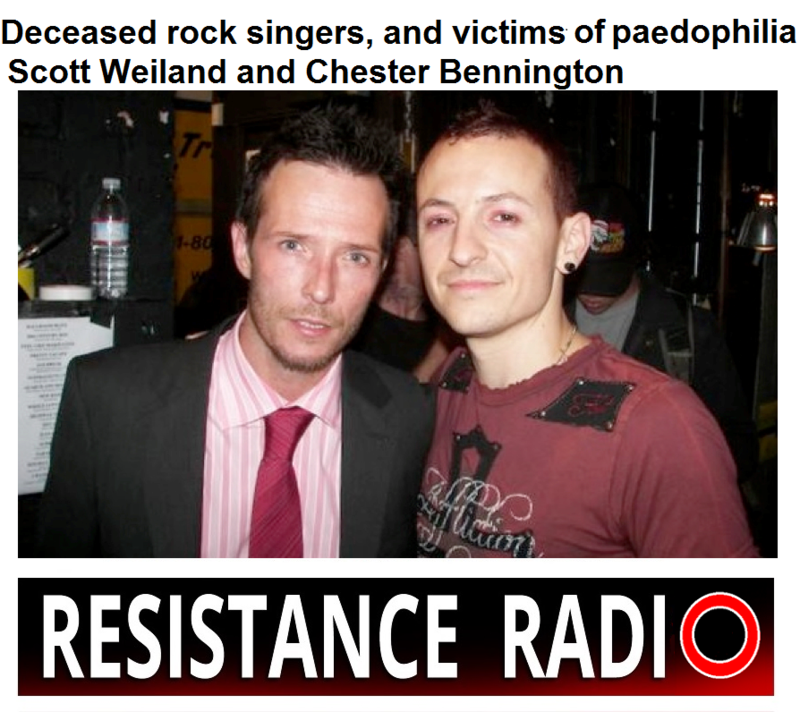 Rock singers Chester Bennington and Scott Weiland both dead–and both raped as kids by paedophiles. Where’s the outrage from the Left? As we are at our core a radio channel, we thought we should discuss the deaths of two of rock music’s biggest voices. Rock musicians, Chester Benningon (Linkin Park) and Scott Weiland (Stone temple Pilots) sold tens of millions of albums, influencing a generation of young people lost to the impact of Cultural Marxism - the society ravaging assault perpetrated against Western civilisation, the traditional family and Christianity. Bennington and Weiland were raped and regularly sexually molested by paedophiles growing up. It caused their depression, led to substance abuse and ultimately resulted in their suicides/overdoses. Since the 1960's male suicide rates attributed to sexual molestation are up 1400%, yet media remain silent. It coincides with the breakdown of the traditional family, the push to normalise sexual deviance and and the ascent of society ravaging 'Liberalism'. Jack Sen, and former US marine and white civil rights activist - a survivor of sexual abuse himself - John de Nugent, discuss this extremely important topic. They point to the correlation between the breakdown of the traditional family, the removal of the father from the household and the resulting epidemic of sexual abuse infecting our societies.